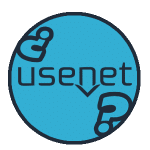 Are you using Usenet to download NZB files or for any other form of private communication? If so, you need the anonymity that only an extremely secure, privacy-oriented Usenet VPN can give you. 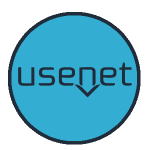 If you don't use Usenet yet, but would like to, then read more information below our list. Usenet is a filesharing service predating torrenting. It was created in the late 1970s as a distributed discussion system, so users can avail a lot of text content, share messages and text files divided into categories called newsgroups. Today there are plenty of data on Usenet other than texts, even copyrighted material. It’s not a peer-to-peer system like many other file-sharing systems, so users need a provider to access Usenet properly. An NZB file is the binary file containing the usenet data. Newzbin started to index these files, that’s how they became NZB files. In simpler terms, an NZB file is to Usenet what a torrent file is to torrent clients. For information about using a VPN for torrent sites, take a look at our best VPN for torrent sites guide. A key to protecting your privacy when using Usenet is to do so through a VPN that keeps no logs. Your Internet Service Provider (ISP) surely logs everything you do, and everywhere you go when you are online. A VPN prevents your ISP from seeing those details. However, the VPN does have access to this information. That’s why all the VPNs listed here are “no logs” VPNs. A “no logs” VPN is one that doesn’t keep records of where you go and what you do online. 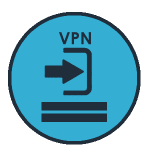 Because the VPNs we have listed here are professional organizations that are in the business of protecting your privacy, we believe you can trust them. However, the subject of VPN logging can get much more complicated than this. If you would like a detailed explanation of this topic, see our “no logs” VPN guide. The main use of Usenet these days appears to be uploading and downloading NZB files. But many ISPs remove NZB sites from their Domain Name Service (DNS) servers. 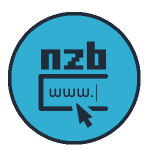 It blocks NZB site access by preventing your web browser from finding the address of the NZB files. A VPN easily gets you around this problem by using its own DNS servers. Your web browser should be able to find the address you need for NZB site access there. Further, since all communication between the DNS and your computer is encrypted, your ISP has no way of even knowing you are interested in NZB sites. Using Usenet without a VPN puts you at risk. Whatever you like to do on Usenet, there is no reason what you do there shouldn’t be kept private. A no logs VPN makes that possible. And if you choose to download copyrighted information from NZB sites on Usenet, you absolutely need a super-secure VPN to protect yourself from getting in trouble. 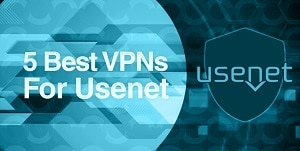 Each of the VPNs we discuss in this 5 Best VPNs for Usenet guide has a no-logs policy that goes a long way toward mitigating the risk of you getting in trouble. Since their business depends on protecting your privacy, you can count on them to do so up to the limits of their ability. 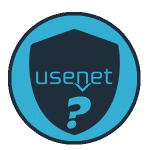 In addition to their no-logs policies, several of these Usenet VPN services have additional security and privacy features built in to give you extra protection (such as a killswitch).